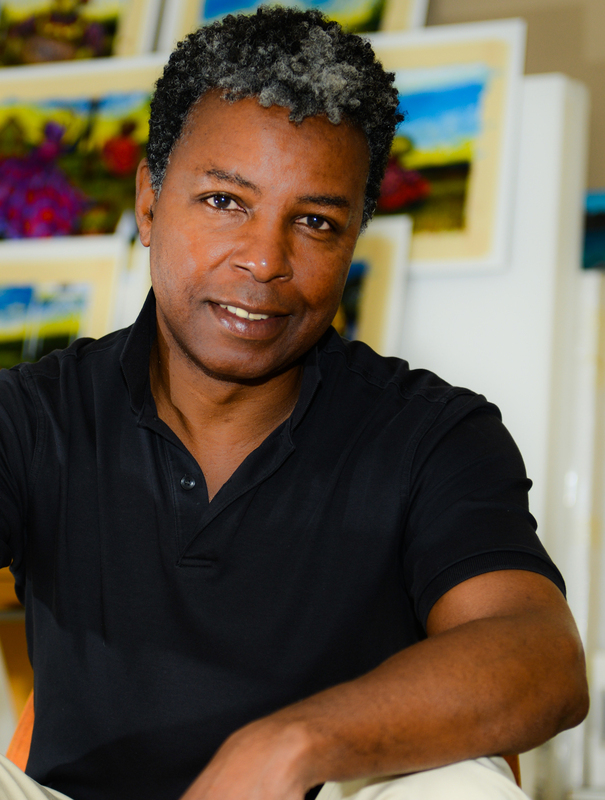 Jonathan Green is a nationally acclaimed and awarded professional artist who graduated from The School of the Art Institute of Chicago in 1982. His thirty-two year track record of creating art and extensive listing of his inclusions in museum collections and exhibitions throughout many countries has led to his being considered by numerous art critics and reviewers as one of our nation’s outstanding American artists and highly recognized visual master for capturing the positive aspects of American and African American southern culture, history, and traditions. His high level of social interest and cultural commitments, and exhibitions have brought him international recognition through his travels and collections throughout North America, Europe, Central and South America, Caribbean, Africa, and Japan. It is Green's mastery of color and skillful use of the human figure in rural and urban environments, which allows him to preserve and share with the viewer a deep sense of community, and how the life challenges of work, love, and belonging are met. Since 1982 Jonathan Green has received numerous honors and awards for art, social, civic, academic, and cultural contributions. Some of the numerous academic awards he has received include: Honorary Doctor of Fine Arts Degrees from the University of South Carolina, Columbia, SC 1997, The Coastal Carolina University – Conway, SC 2009, and Sewanee – The University of the South, Sewanee, TN 2014. Other awards include The Elizabeth O’Neill Verner Award for Life Time Achievement, Columbia, SC 2010; Key of Life Award --- NAACP Image Awards, Los Angeles, CA 2009; Century of Achievement in Art Award, The Museum of Americas, Arlington, VA, 2003; Order of the Palmetto Civilian Award, Columbia, SC 2002, and The History Makers Award in Fine Arts, The History Makers National Archives, Chicago, IL 2001. Some of his extensive humanitarian and civic contributions have helped Diabetic research at the Medical University of South Carolina in Charleston, Sickle Cell Anemia research Mount Sinai Hospital in New York and medical outreach services in Beaufort County, South Carolina. When not painting he uses his networking skills to serve on the International African American Museum and Gilliard Auditorium boards in Charleston, South Carolina, and many cultural and civic advisory committees throughout the south. In recent years he has combined his role as artist with that of educator, co-creating the Lowcountry Rice Culture Project, which builds partnerships to explore, reveal, and reclaim the shared cultural inheritance of the Lowcountry rice industry. The project emphasizes examining the consequences of history and the meaning of heritage as a launching point for broad discussions of race, class, art, trade, history, and economics – along with a clear frame of reference and safe environment in which such dialogue can occur without fear of backlash or misunderstanding. Mr. Green’s art and talents have been incorporated into productions of ballet, music, opera, theatre, literature, film, and video documentaries throughout the United States. Additionally, his art has been included in numerous educational publications addressing American and African American history, literature, food-ways, visual arts, and healthcare. Currently Jonathan Green resides and paints in his studio located in Charleston, South Carolina.